Don't let tiny computer speakers sap your sound. 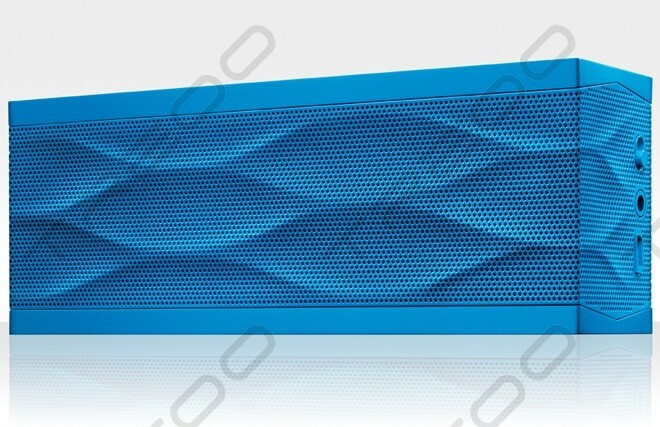 All your media deserves great audio, no matter what device it's played from. 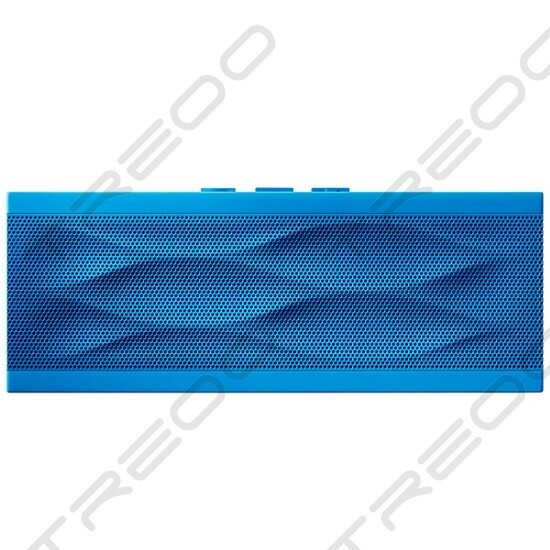 With JAMBOX, you'll feel the thump of every kick drum, the vroom of every car chase and crowd with every buzzer-beater - bringing all your mobile media vibrantly to life. And with about ten hours of continuous play, you can blast away all day long with plenty of charge to spare for whatever comes next. Check out some great apps here. 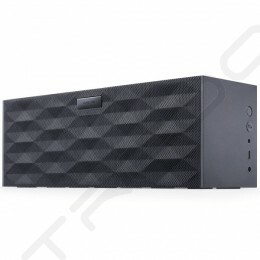 With a powerful, built-in microphone, JAMBOX frees you to share crisp, clean-sounding conference calls anywhere - in the office, car, at home, alone or with a group. No more garbled, hard-to-hear chatter through your mobile phone or computer, no more being tied down by phone lines. Just crisp, clean wireless conference calls from your phone or computer. It's also perfect for sharing video chats via iChat®, Skype®, Google Talk™ and more. 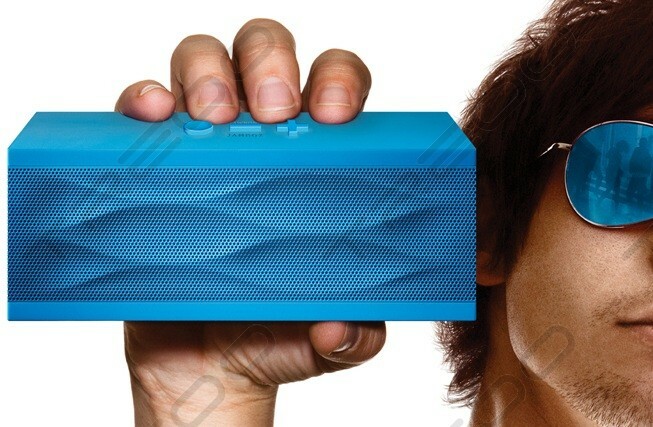 Part technical wonder, part modernist artwork, JAMBOX looks and feels as striking as it sounds. 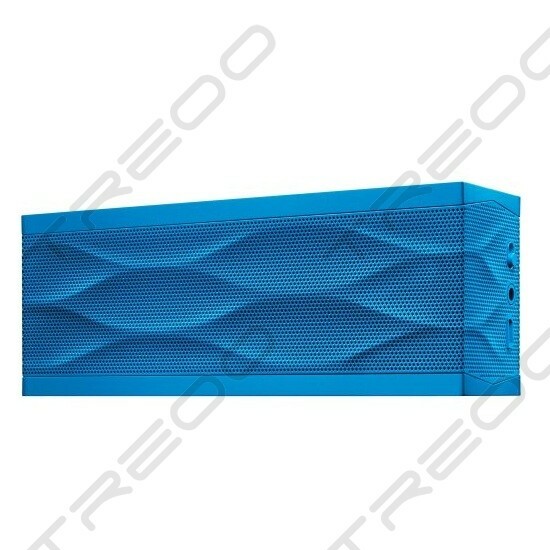 Whether placed on a desk, coffee table, or shelf, JAMBOX not only declutters jumbles of wires and clumsy computer speakers, but adds a distinct touch of style. 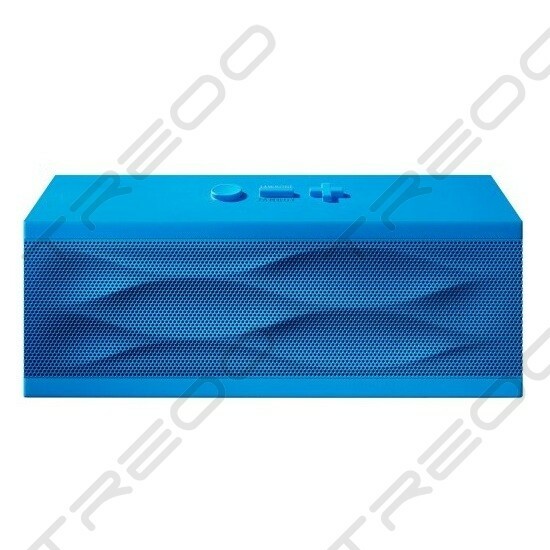 With its stainless steel construction and industrial-weight molded rubber casing, this is not just a pretty package - JAMBOX is a sturdy, portable, and meticulously crafted machine that's built to blast. 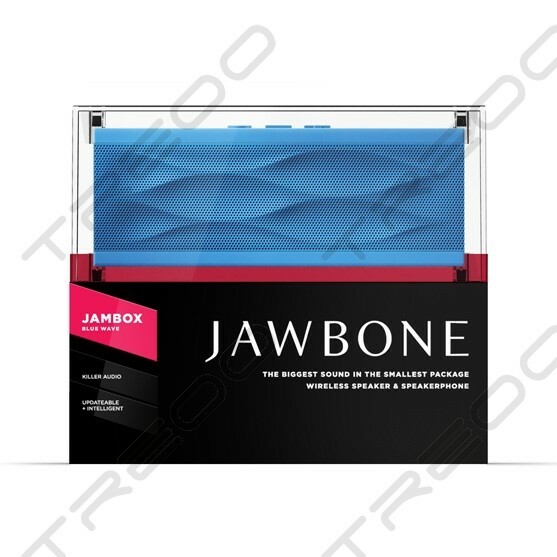 Yet another example of Jawbone's obsession with delivering breakthrough audio innovations, exceptional functionality, and beautifully designed products for today's mobile lifestyle.